GALLERY HOURS: MONDAY–THURSDAY, 10 A.M.–4 P.M & FRIDAY, NOON–4 P.M. The Art Gallery is on the ground floor of the Cultural Arts Building, near the building’s main entrance. 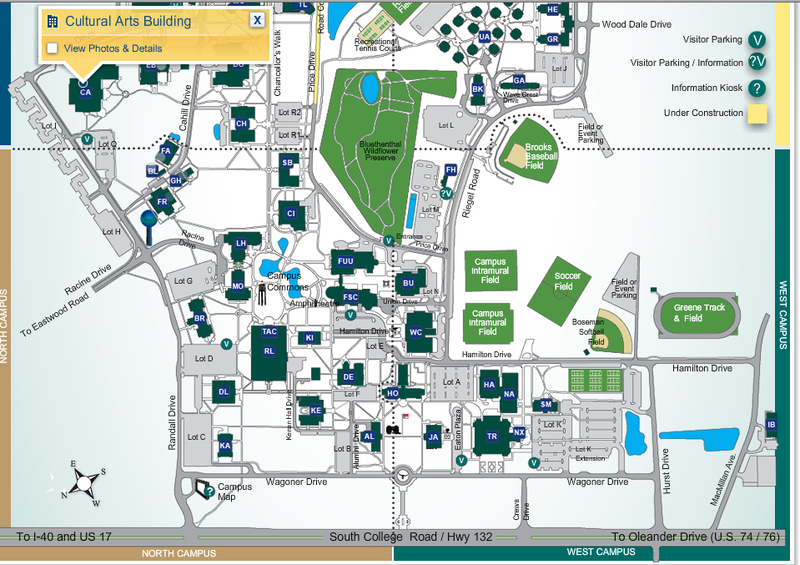 The Cultural Arts Building is located on the corner of Randall Parkway and Reynolds Drive on the UNCW campus and can be accessed from South College Road or Racine Drive. Visitor parking is in front of the box office entrance to the building. 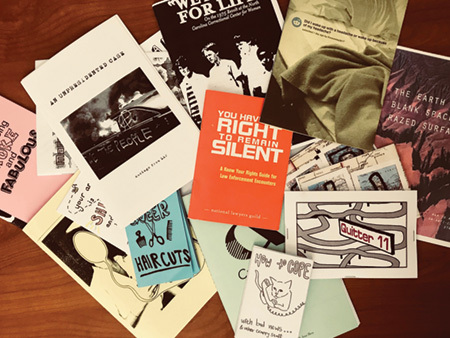 Zines (shortened from the word “magazines”) are small, independent publications that come in the form of mini pamphlets or DIY magazines and have long been an underground or counter-cultural vehicle for personal and political expression. This exhibit celebrates zines from a variety of sources and collections. capstone event for studio art majors. Video Projection Mapped Microscopy Workshop: 1:30 p.m.
Air and Water Sensing / Interaction via Arduino / DIY Electronics Workshop: 3 p.m. The Department of Art & Art History at UNCW invites the UNCW and greater Wilmington community to participate in an evening of interdisciplinary, art and science collaboration. 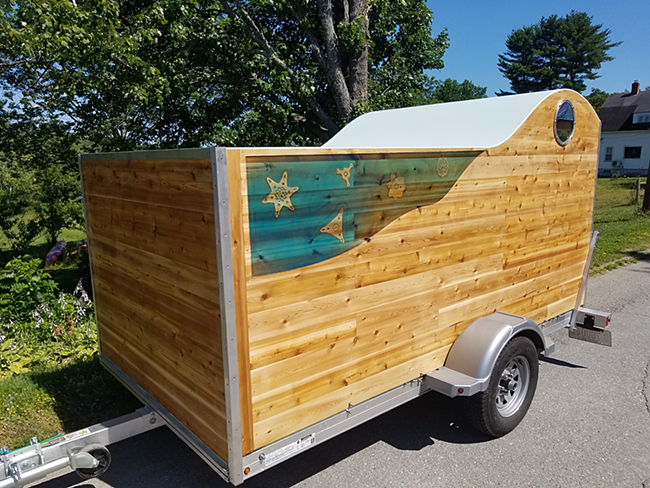 Gene Felice II, the Department’s newest faculty member bridges his creative practice across art, science, education and design. Gene's hybrid practice grows at the intersection of nature and technology, developing interactive work using a variety of input and output sources such as bio and eco sensors, motion, sound and light. His projected video and animated imagery transform two dimensional surfaces and architectural structures into three-dimensional storytelling systems. 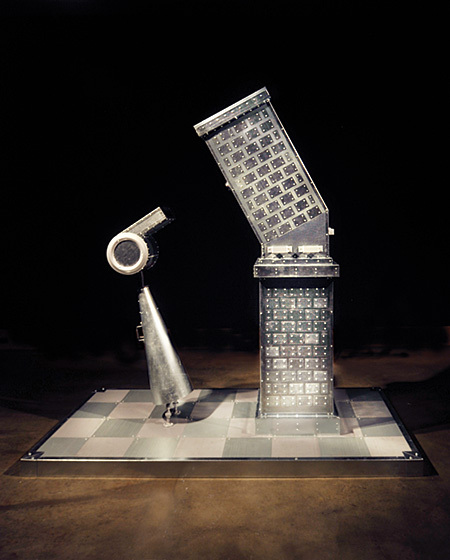 He also employs ecologically minded materials through hybrid fabrication methods such as 3D printing, CNC milling & laser cutting, combining digital and analog technologies to create innovative 3-dimensional work. To learn more about his work and Coaction Lab, visit www.genefelice.com & www.coactionlab.org. 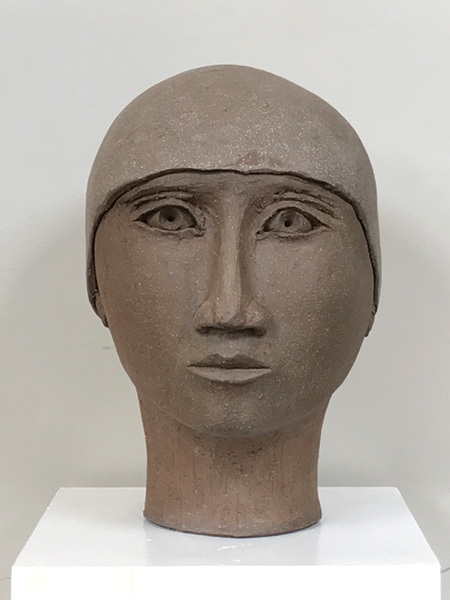 Aside from a variety of art and science inspired work, professor Felice will also be displaying his recent Iron Lotus Project from his 4 week residency in Alexandria Egypt, working with the U.S. Consulate, American Arts Incubator Program. The show will evolve throughout its duration, displaying additional work-in-progress, evening video projection mapping performances via the Mobile Coaction Lab and a series of Friday afternoon, creative technology workshop sessions. Times and dates of the workshops are listed above. Reflections on Colorism investigates the history and trajectory of colorism--bias based on skin tone across races--through documentary and speculative works of art. 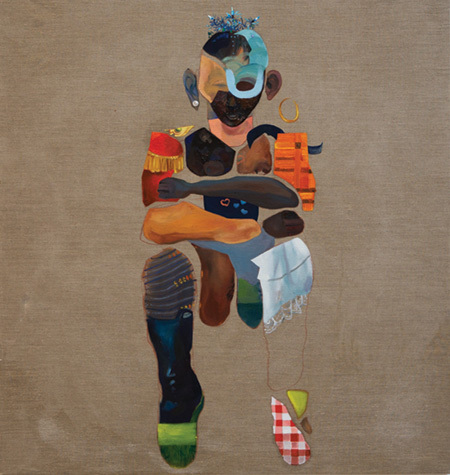 This exhibit juxtaposes traditional, mainstream attitudes about complexion and other racialized features with imaginings of new narratives and alternative visions. This exhibit is curated by Dr. Sarah L. Webb, creator of Colorism Healing, and Professor of Creative Writing at the University of Illinois Springfield. Reflections on Colorism is the most recent project of Colorism Healing, an international initiative started by Dr. Webb in 2013. Colorism Healing’s flagship project has been the writing contest and anthologies of poetry and prose. Because colorism is a form of degradation steeped in visual perception, engagement with visual art has been a necessary and fruitful evolution in the overall mission. In this current iteration of her work, Dr. Webb begins the process of scrutinizing the parallels and intersections of text and image. The Art Gallery is located on the ground floor of the Cultural Arts Building, near the building’s main entrance. The Cultural Arts Building is located on the corner of Randall Parkway and Reynolds Drive on the UNCW campus. To access either from South College Road or Racine Drive, take a left as you enter the campus area onto Randall Parkway. There is visitor parking directly in front of the Box Office entrance to the building. hosts student solo, group, and curated exhibits. Students are eligible to submit exhibition proposals accompanied by a student lecture, which are vetted by the faculty. Faculty members also organize student exhibitions in the space. All exhibitions and lectures are free and open to the public. The Mezzanine Gallery is located on the second floor of the Cultural Arts Building. The Cultural Arts Building is located on the corner of Randall Parkway and Reynolds Drive on the UNCW campus. To access either from South College Road or Racine Drive, take a left as you enter the campus area onto Randall Parkway. There is visitor parking directly in front of the Box Office entrance to the building.